Priyanka, who was abroad when she was appointed to the party post, has got an office, adjacent to the room of her brother and Congress chief Rahul Gandhi, at the party headquarters on Akbar Road, New Delhi. New Delhi: Priyanka Gandhi Vadra, the newly appointed Congress General Secretary for Uttar Pradesh East is expected to launch the party’s election campaign for the Lok Sabha elections 2019 from Lucknow on February 11, Monday. If reports are to be believed, she will hold a road show and meet party leaders and workers at the Congress office in the state capital. Yesterday, she met a few senior party leaders from Uttar Pradesh and held informal interactions with them. Sources close to the party informed news agency PTI that Priyanka discussed issues relating to strengthening the party in eastern Uttar Pradesh, during the meet. Meanwhile, the Maharashtra Congress has also planned to have at least two rallies each of Congress chief Rahul Gandhi and party’s gen secretary Priyanka in the state. Former Union Home Minister Sushilkumar Shinde, who is the Congress’ campaign committee in charge for Maharashtra, however, said that the Gandhi siblings’ rallies will be scheduled after they give approval. 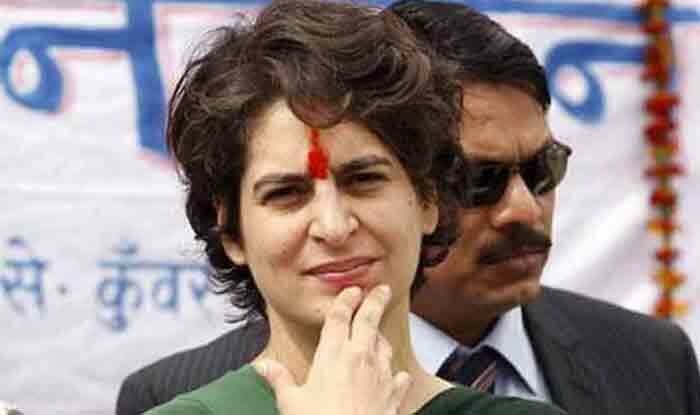 Earlier, Priyanka’s involvement with the party was limited to campaigning in Rae Bareli and Amethi Lok Sabha constituencies represented by her mother Sonia Gandhi and Rahul Gandhi. She had also campaigned in 2017 assembly polls in Uttar Pradesh.